The school year just seems to sneak up on me every year. How about you? We are starting on Monday, but I have only just begun to plan! 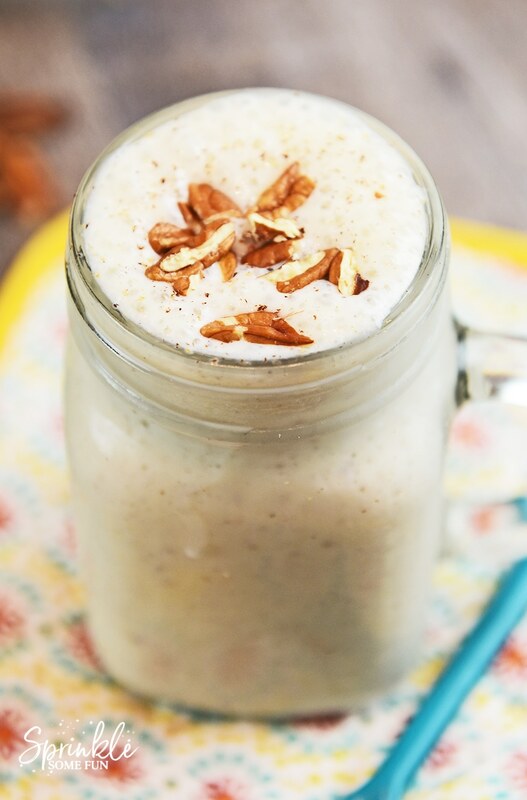 This is why I am in need of more easy breakfast ideas like this Banana Bread Smoothie. My kids are always hungriest (and whiniest) in the mornings. I love smoothies because I can easily pour them into cups and we can even drink them on the go. Plus, my kids think it’s an extra special treat! 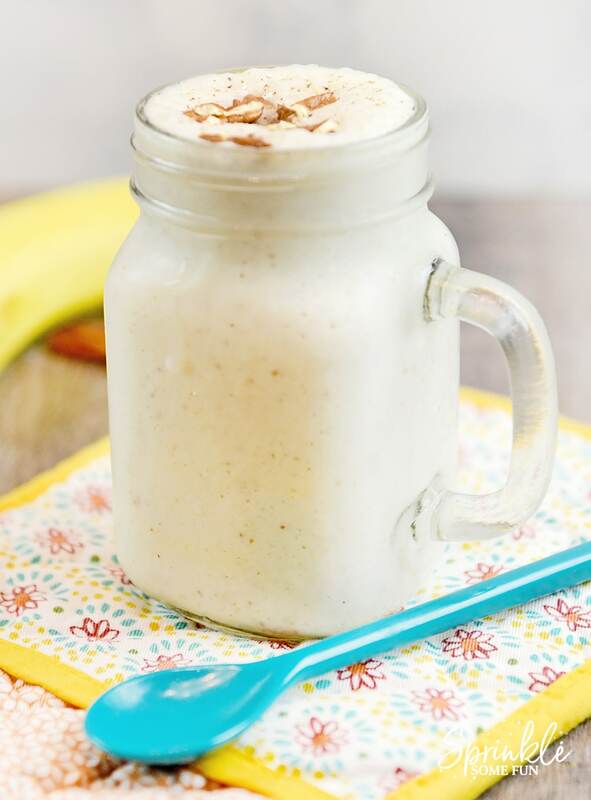 A Banana Bread Smoothie is a simple and nutritious breakfast idea. I combine yummy banana bread ingredients like bananas, cinnamon and nutmeg with milk and yogurt. 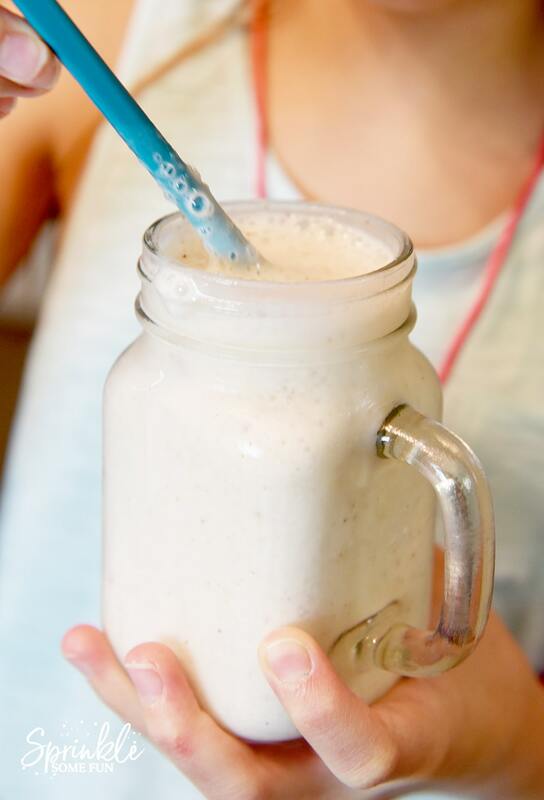 Smoothies made with milk are quick, simple, nutrient-rich, protein-packed, and portable—for even the pickiest of eaters in your house. Start out the smoothie with 1/2 cup of milk. At 8 grams of protein per glass, you would have to drink 8 cups of almond milk to match the protein in just 1 cup of cow’s milk. Next, I add in a 1/2 cup of vanilla flavored yogurt. Nutrition is more than counting calories; it’s about making each calorie count. And dairy does it! Dairy foods (cow’s milk, cheese, yogurt, etc.) pack a powerful nutrient punch with nine (9) essential nutrients, making them a healthy and delicious choice. I finish off the smoothie with cinnamon, brown sugar (just a little bit) and a sprinkle of nutmeg on top (fresh ground is best). 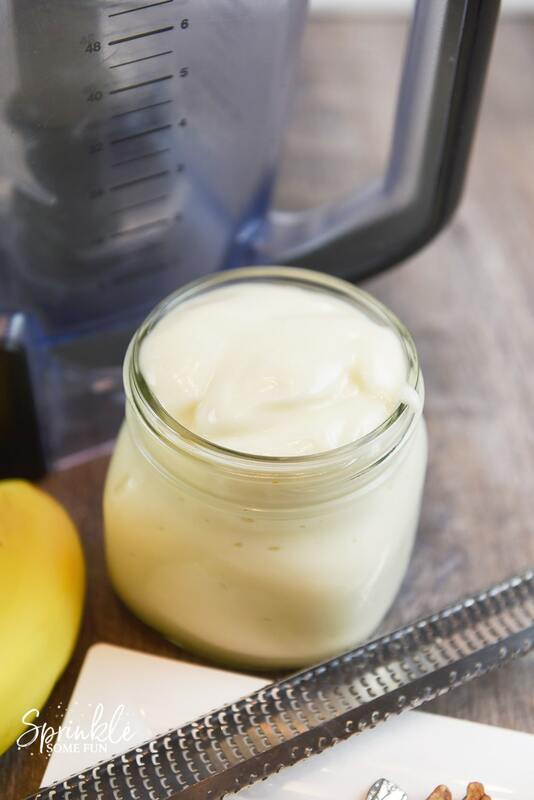 Add all ingredients to your blender and blend on high until smooth and creamy. 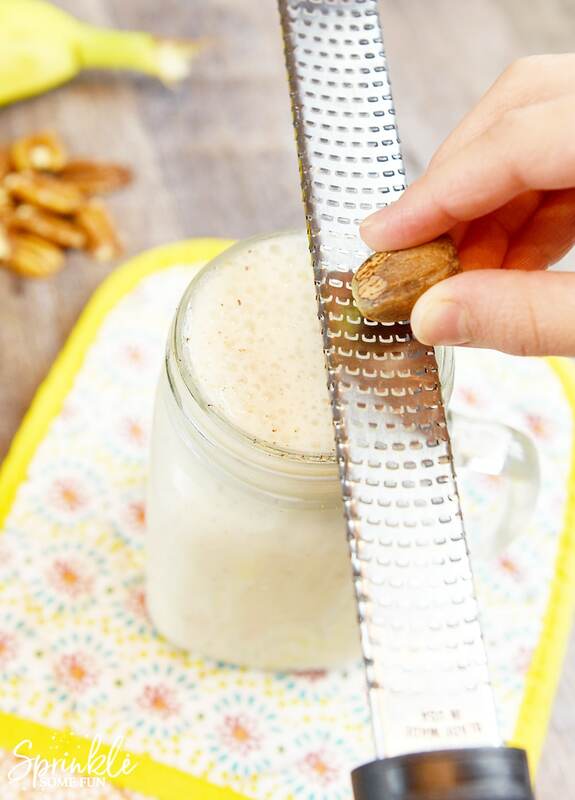 Optional: garnish with chopped pecans and a sprinkle of nutmeg. 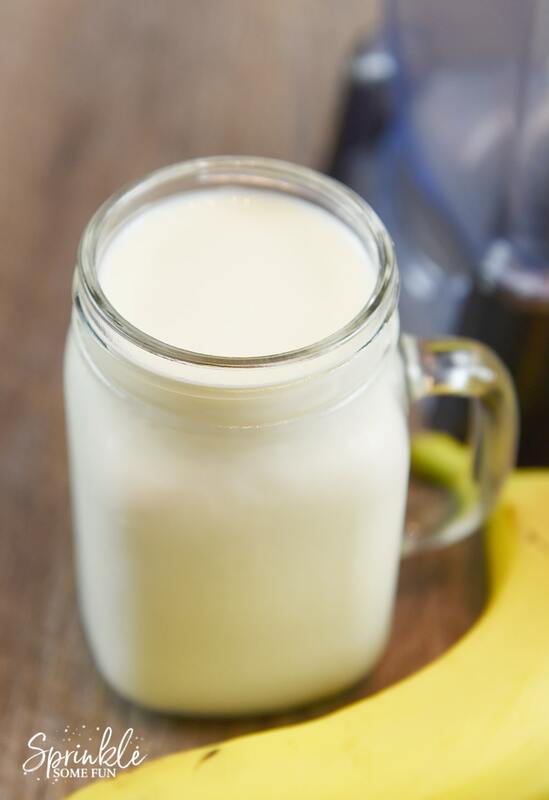 Ice cold, creamy and smooth… everything a delicious smoothie should be! 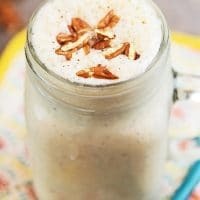 We love smoothies for an easy breakfast idea and I cannot imagine a busy school year without them. For important nutritional info on dairy, crafts and games for kids, recipes, and farm family stories, visit Dairy Discovery Zone . 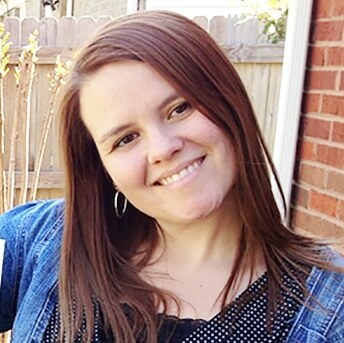 The Dairy Discovery Zone is brought to you by Dairy MAX, a non-profit affiliate of the National Dairy Council, funded by dairy farming families across Texas, Oklahoma, New Mexico and southwest Kansas.